Last year when Avengers: Infinity War presale tickets came out, I woke up at 9 AM on the dot and casually bought four of the best seats in the house at my local AMC for opening night. We all now know that Avengers: Infinity War had the highest-grossing opening weekend of all time, so expectations were rightfully sky high for the sequel. 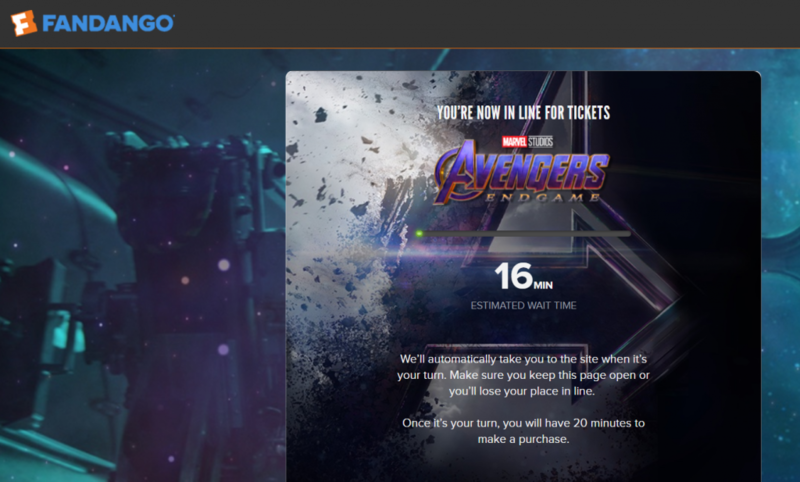 So when Avengers: Endgame presale tickets were released this morning, the chains and websites didn’t expect the online onslaught that throttled their sites. If the first few hours were any indication of how big the fourth installation of the Avengers franchise is going to fare on opening weekend, a $1 billion opening weekend might be an understatement. This year, I woke up on time but had a much different experience than I did with Infinity War pre-sale tickets. AMC: When I woke at 8 AM, I immediately reloaded AMC’s dedicated page for Avengers: Endgame and opened up the app expecting to be able to grab a couple prime tickets. It took a minute for AMC’s app and website to update for the advanced tickets on the homepage. Once it did, it was on. AMC’s site was basically unreachable. There were intermittent points in which I was able to access the seating chart, but when I went to buy 5 tickets, it was clear that the site was getting hammered. After trying AMC’s website and app over and over, across several different showtimes, I got increasingly frustrated. This was a movie I’ve been not-so-patiently waiting on since Infinity War ended and I couldn’t even get to plugging in my credit card money. I was desperate for them to please take my money, Marvel! In a tweet, AMC confirmed that the site was having problems. They tweeted out as much at 11:03 AM EDT. 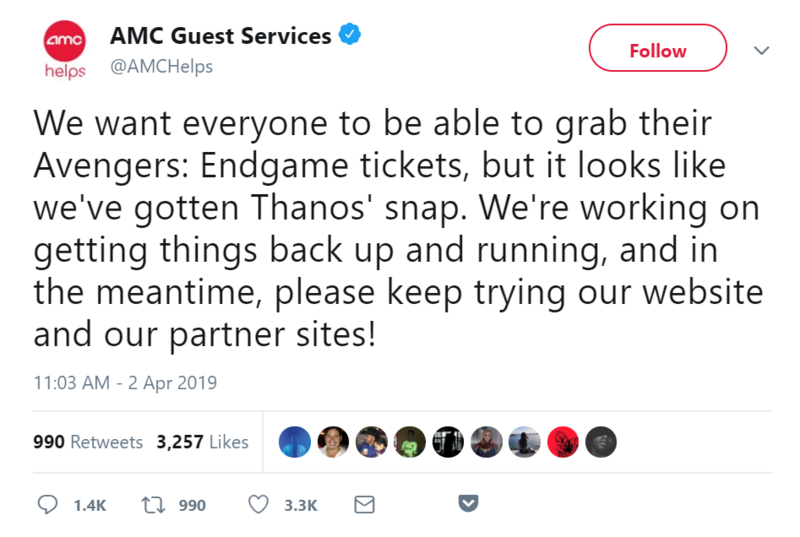 We want everyone to be able to grab their Avengers: Endgame tickets, but it looks like we’ve gotten Thanos’ snap. “We’re working on getting things back up and running, and in the meantime, please keep trying our website and our partner sites! Update: As of 11 AM EDT, https://www.amctheatres.com/ is down and can’t be reached! Thanos knocked the entire website down! Fandango: So I left AMC mobile app and AMCtheatres.com and went to Fandango where I was almost immediately met by a splash page letting me know that I was in the queue to buy tickets, but it would be 16 minutes before I had my chance. With each passing minute, I could feel prime recliner seats being bought out and being all advanced tickets for the best showtimes being purchased. With little to no hope of getting tickets for Thursday and probably Friday, I then opened up the Atom Tickets app fully expecting it to be overloaded as well. In short, it just cycled on loading and reloading. That also occurred with Regal’s website, I couldn’t even get past the page after signing in. I received an error that said “Login timed out. Please try again”. None of this was helped by the fact that Marvel Studios released another teaser clip this morning only serving to fuel the insanity and frustration. We still love you, Marvel, but this has been one hell of a morning. 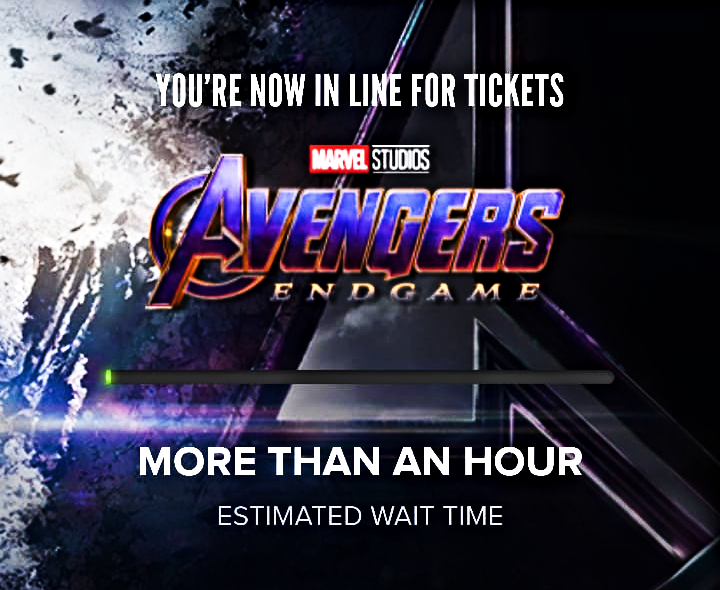 All in all I spent approximately two hours attempting to buy Avengers: Endgame pre-sale tickets. Though I ultimately ended up getting tickets, my first viewing of Avengers: Endgame won’t go down as I hoped. It won’t be on any of the prime Thursday showtimes at 6 or 7 PM, but did get tickets to the official opening day the following day on Friday, April 26th. My viewing won’t nearly as visually appealing as it would be on an IMAX, 3D, XD, or Dolby Cinema screen but I’ll have to make due with a standard screen at a local, independent chain at 11:15 PM. I really was hoping to watch Endgame along with a raucous crowd of 700 other Endgame and Marvel fanatics, but instead I’ll be in a 120-seat theater (albeit with luxury recliners which is needed for the three-hour film). All in all, I had high expectations for my first viewing, but came out satisfied with what I got: tickets to opening weekend for what’s going to be the biggest film of 2019, and maybe of all-time. 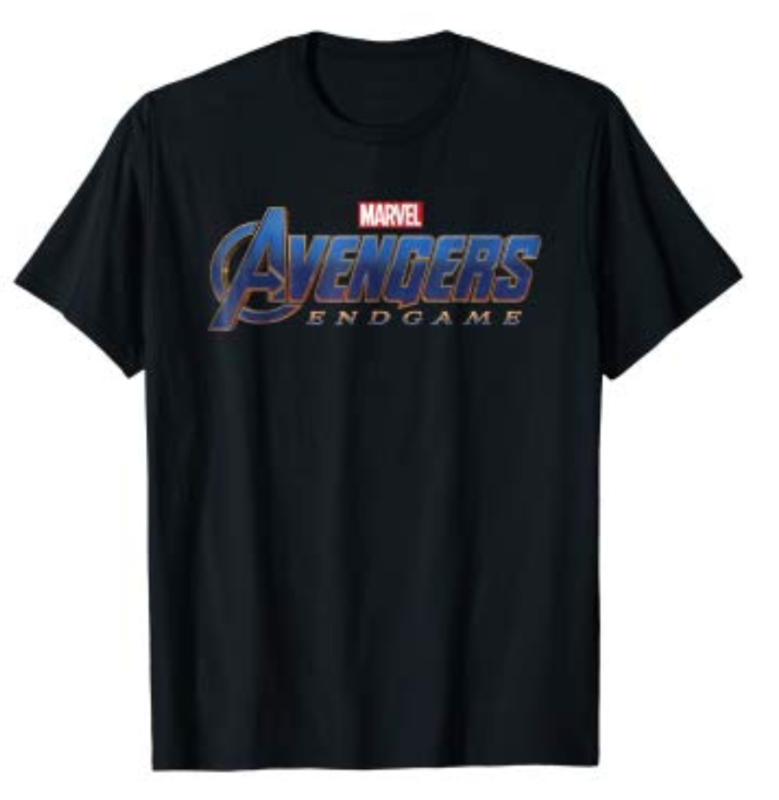 Avengers: Endgame Long Sleeve T-Shirt. Buy Now. 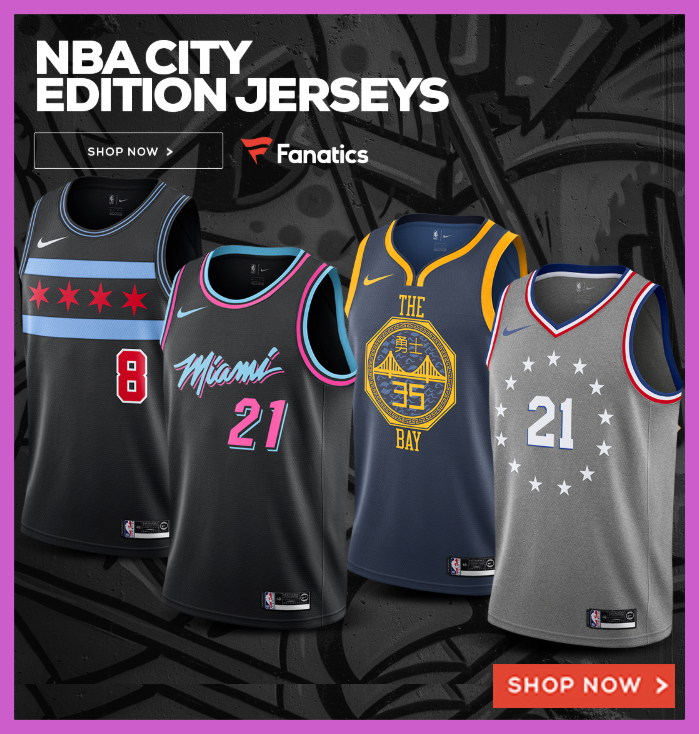 Get your tickets, then get your Endgame gear. 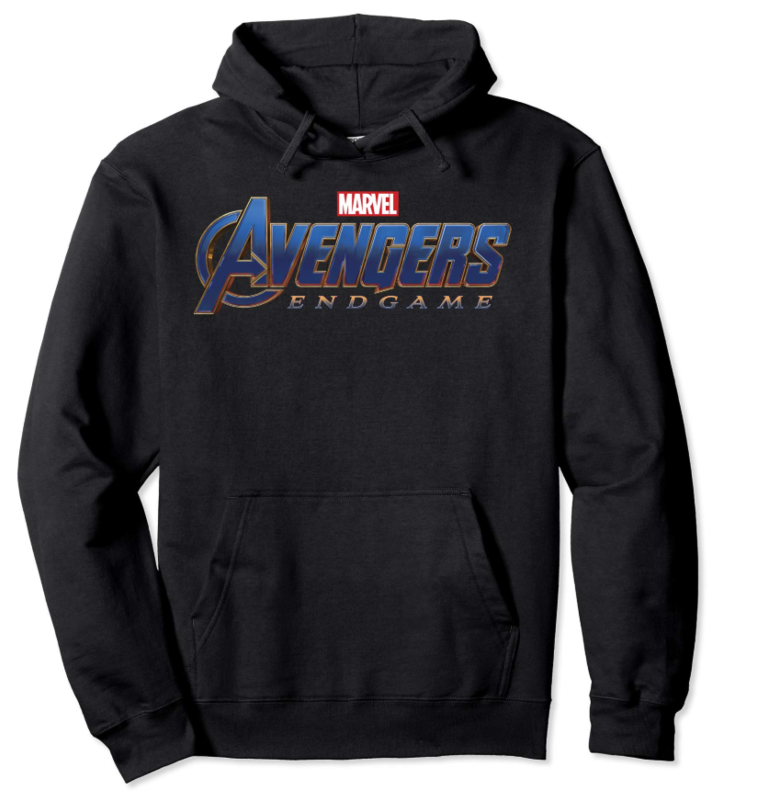 Start with these officially-licensed Avengers: Endgame shirts, this graphic hoodie that comes in multiple colors, and this Endgame logo long sleeve tee. You’re in the endgame now. Via Fandango, Regal Cinemas had faster wait times. Fans that love the MCU expected this, but my sense is that the chains expected similar Infinity-War demand then were completely shell shocked by the response. At least Fandango had the built-in queue. As of this message, AMC’s core site is STILL DOWN.